just wanted to say hi and introduce my dogs and myself. 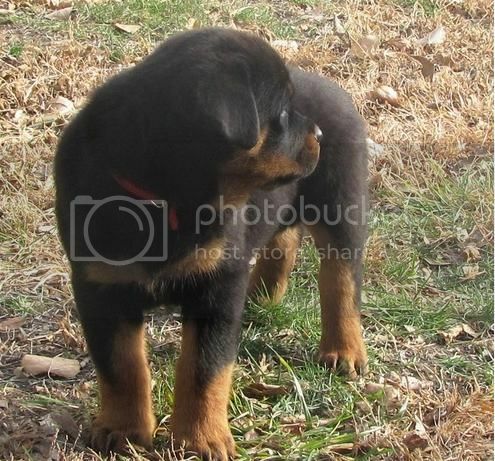 I have a Doberman, a French Bulldog and a Rottweiler. 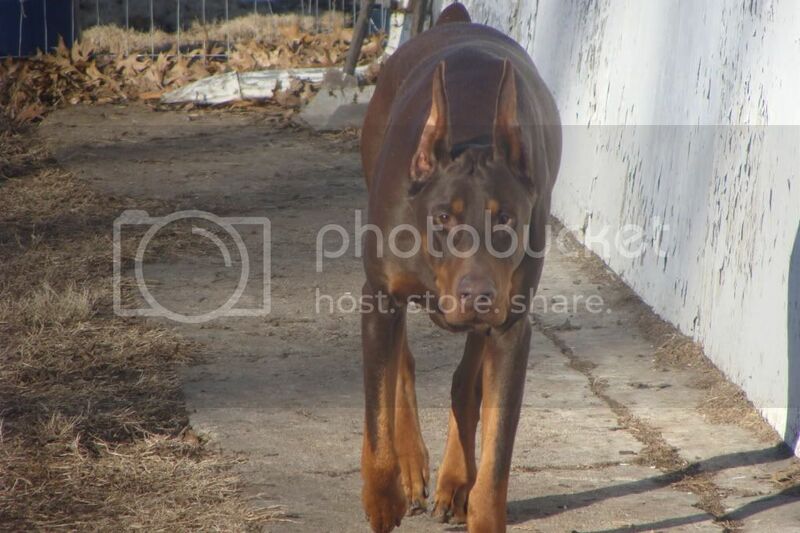 I have Renic, red doberman boy, 4 years. Thanks for sharing pics of your doggies, they're all really beautiful animals. The dob is quite handsome! I have three dogs myself. One is a German Shepherd named Rosie, a Border Collie named Tigger, and a small mixed breed (chihuahua or min pin maybe) named Angie. Thanks, I love all my dogs but Renic is my heart dog. 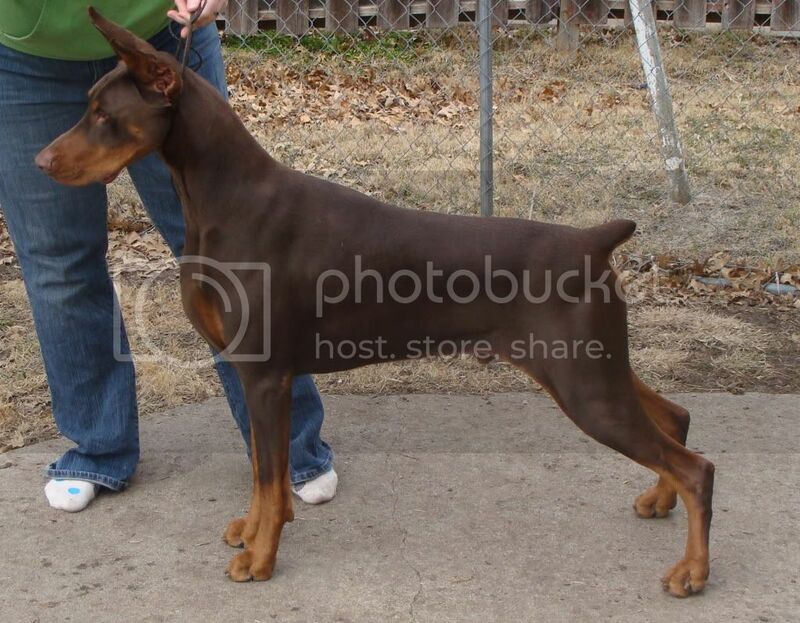 He was shown in AKC conformation shows for a couple years, I didn't finish him because I didn't have the funds to put a handler on him and the dobe ring is so competitive I couldn't have finished him myself. I may show my Frenchie and see how that goes. FrenchFace, welcome to the forum! You have a fantastic looking crew there. Thanks so much for sharing the pictures. We can never seem to get enough! Welcome to the forum. Your dogs are beautiful!! I was going to ask if you showed conformation after the first pic with Renic stacked so nicely and showing his lovely structure That's too bad about not being able to finish him though, but hopefully you do have luck with Toast! I am starting agility with my border collie, but that's about all He is definitely my heart dog. Thanks for the nice comments. I love my dogs and can't wait to talk dogs with other dog lovers! 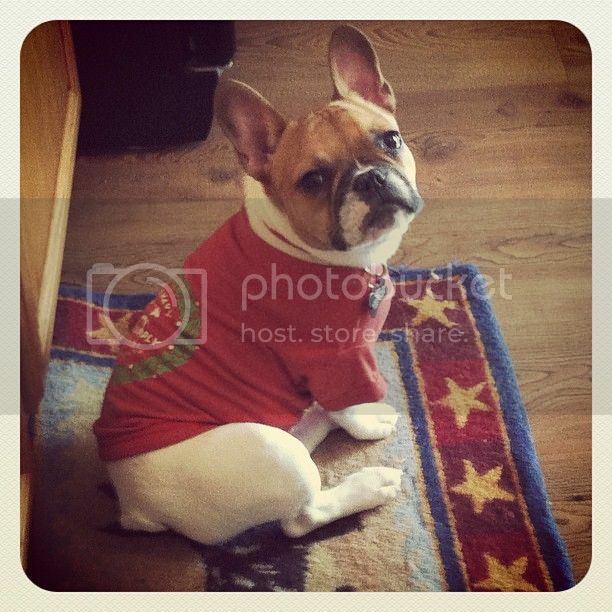 Thanks for sharing picture of your doggies, they're all really beautiful animals.